For THIRTY-FOUR YEARS the Annual Tax Controversy Conference has been among the preeminent tax conferences in the United States exclusively dedicated to tax controversy and tax litigation! This year, I am honored and privileged to serve as Chair of The Annual Tax Controversy Conference! Conference Chair Emeritus. 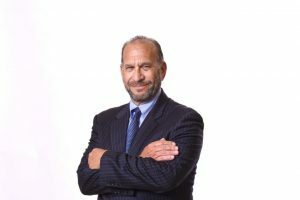 The Conference was founded by Eugene “Gene” Silverman, deceased, formerly of the firm now known as De Castro, West, Chodorow, Mendler & Glickfeld, Inc. Gene set the foundation for extremely high-quality, practical presentations by sophisticated government and private practitioners from throughout the United States who enjoy an open discussion of sometimes sensitive practice issues with the audience. For years, we were blessed to attend presentations about accountability and life in the tax trenches from the “titans of tax controversy” – including Bruce I. Hochman, Elliott H. Kajan and Gene Silverman, each an Conference Chair Emeritus of the Annual Tax Controversy Conference. The Conference enjoys national recognition in the field of tax controversy, representing a true partnership among members of the tax judiciary, government, and private tax practitioners. We have avoided many potentially awkward situations by providing an informal forum for the discussion and exchange of concerns and information among government and private tax practitioners. Our responsibilities to tax administration and to the profession dictate an ongoing, strong commitment to this annual Conference. This year we again had a wealth of suggestions for potential topics and speakers—remember the Conference during the coming year and please let us know if you’re interested in participating in the future. VETS COUNT! The VETS COUNT Scholarship fund was launched at the 2016 Tax Controversy Conference, and will hopefully inspire a wide audience of patriots and professionals to assist in giving back to those who have given so much. VETS COUNT is intended to provide financial assistance for active and former military personnel who desire to pursue a career in tax, accounting, wealth management, and other aspects of financial services. Funds raised will also cover basic coursework for personal growth in budgeting, financial literacy, and investing. For nearly 100 years, UCLA Extension has been helping adult learners to take their education wherever their imagination leads them, whether it’s following a dream to change careers, learn a new skill, or position oneself for a promotion. More than 50,000 individuals join in this journey each year, some 2,000 earning a coveted Professional Certificate and the rest dabbling, deep-diving, or designing a curriculum pathway that suits their needs, curiosity, and life circumstances. We are pleased to announce a Vets Count Scholarship matching gift program – contributions between now and October 31will be matched by Hochman, Salkin, Rettig, Toscher & Perez, P.C, up to a total of $10,000! Contributions in any amount are welcome – for more information contact Olivia Lam at 310-206-5255 or olam@uclaextension.edu or go online re https://giving.ucla.edu/vetscount. Each year, the Planning Committee presents a gift to the immediate family member of a currently serving active military duty. While enjoying the fine surroundings of the Beverly Hills Hotel, we are reminded of the personal sacrifices faced by those serving active duty and their proud families. Those serving are all volunteers, going where they are told to go and doing what they are told to do, to the best of their abilities. All would all rather be home with their families. In a non-political sense, we would not enjoy the lives we do without them. Wherever, whenever you see them, let them know you care and are proud of them – your comments and nods of appreciation as you pass by will be well received. 2018 Annual Bruce I. Hochman Award to Avram Salkin. At the luncheon, we will be honored to present the 2018 Annual Bruce I. Hochman Award to Avram Salkin. The 2018 Annual Bruce I. Hochman Award is presented in recognition of the many outstanding achievements and contributions of Avram Salkin as a leader, friend and colleague in the tax practitioner community which will always be remembered and appreciated. Previous recipients of the Annual Bruce I. Hochman Award include 2017—Miles Friedman 2016 – Frank Agostino, Agostino & Associates, Hackensack, N.J.; 2015 – Karen L. Hawkins; 2014 – Steve Sims, KPMG, formerly the Taxpayer Rights Advocate of the California Franchise Tax Board; 2013 – Elliott H. Kajan of, Kajan Mather Barish; 2012 – Ted B. Meyer,CPA, Former IRS Examination Territory Manager Los Angeles, SB/SE; 2011 – Jerry Feffer, Williams & Connolly, Washington, D.C.; 2010 – William Taggart, Law Offices of William E. Taggart Jr., APC, Oakland, CA; 2009 – Martin A. Schainbaum, Law Offices of Martin A. Schainbaum, San Francisco, CA; 2008 – Sidney Machtenger, Greenberg Glusker, Los Angeles, CA; 2007 – Mary Ann Cohen, Judge, United States Tax Court, Washington, D.C.; 2006 – Cono Namorato, Caplin & Drysdale Chartered, Washington, D.C.; 2005 – Stephen J. Swift, Judge, United States Tax Court, Washington, D.C.; 2004 – Irene Scott Carroll, Special Litigation Assistant, IRS Counsel, SB/SE; 2003 – B. John Williams, Skadden, Washington, D.C.; 2002 –Gene Silverman, formerly with DeCastro, West, Chodorow, Mendler, Glickfeld & Nass, founder of the UCLA Extension Annual Tax Controversy Conference in 1984. Thank You to the Staff at UCLA Extension, the Advisory Board and the Planning Committee. We are most appreciative of the year-long efforts by the dedicated staff at UCLA Extension. We are also honored to have a supportive private practitioner Planning Committee together with our government Advisory Board. The Advisory Board includes many dedicated government representatives from throughout the country. We are especially thankful for the participation of the Co-Chairs of our Advisory Board – former IRS Territory Manager Ted Meyer and IRS Exam Territory Manager (Southwest Area, SB/SE) Mark Tracht – who have each been instrumental in coordinating the Advisory Board and inviting many government speakers. Thank You to our Sponsors and Planning Committee. The Annual Tax Controversy Conference could not function without the strong financial commitments of our sponsors. This year we were most appreciative to include as invaluable Gold Sponsors Gaynor & Umanoff, LLP. Our Silver Sponsors A. Lavar Taylor, LLP; Caplin & Drysdale; Greenberg Traurig; Holthouse, Carlin & Van Trigt, LLP; Kirsch Kohn & Bridge, CPAs LLP; Marcum, LLP; and RJS Law. Our Bronze Sponsors Cooper, Moss, Resnick, Klein & Co., LLP; David L. Rice, APLC; Holtz Slavett & Drabkin, APLC; The Law Offices of Joseph A. Broyles; Steven L. Jager, CPA Corporation; Mather Turanchik Law Corporation; Michael Blue, Attorney at Law; and the University of San Francisco. Each and every sponsor is critical to the ongoing success of the Conference! CCH has continued their strong, ongoing involvement by publicizing the Conference throughout the country and again publishing papers from our panelists in this special issue of the CCH Journal of Tax Practice and Procedure dedicated to the 2018 Annual Tax Controversy Conference. A very special thanks to our good friend Claudia Hill for continuing to coordinate this effort with CCH! 2018 UCLA Extension Annual Tax Controversy Conference. We all share a concern for the accountability of both government and private practitioners to our system of tax administration and to the profession—lessons not to be forgotten by any of us in these most difficult times. Working together, we can continue to improve tax compliance within the taxpayer community, eliminate problems before they arise and enhance the reputation of the profession for credibility, integrity, and responsibility to others. In closing, I wish to extend my personal appreciation to each of you for the honor and privilege to serve as Chair of the UCLA Extension Annual Tax Controversy Conference! Learn to respect those who can do nothing for you or to you and help those who are less fortunate and unable to help themselves. Reputations are earned every day…by making each day count, you can make a difference!